We buy and sell non-ferrous scrap metals, while offering the most competitive rates in the GTA based on the dynamics of the market. Learn more about making money with your scrap metal. Drop off your scrap aluminum items including: electric wiring & cables, metal building construction materials from roofs, windows or doors & packaging materials. Scrap copper can be found in household pipes, scrap cables & wires & construction materials. Learn more about making money from your copper. We have a bin to match everyone's scrap metal needs whether it be industrial waste or construction materials for residential or commercial. Find out more about pick up & delivery services. At Tal Metal Inc., we pride ourselves on the high level of service we afford our customers, both locally and globally. When we buy or sell non-ferrous metals, we offer the most competitive rates, based on the dynamics of the market. We use leading edge, computerized technology for our procurement and distribution, and it allows us to maintain superior levels of efficiency when servicing our client base. Our inventory of non-ferrous metals is well organized and catalogued, while we take extra care ensuring that all of our deliveries are precise and punctual. We keep our stock of scrap metals in a secure factory facility, and make certain that our product (and yours) is protected and well maintained at all times. Tal Metal buys, segregates, and distributes a wide range of non-ferrous metals - we handle all categories of non-ferrous metal - all grades, all volumes, and all sizes. And because of our volumes, we’re able to fully customize our service approach for each customer, based on specific requirements, and depending on the nature of the company. On site, Tal Metal makes use of the latest equipment and machinery to process a quality product; to promote the highest standards of safety; and to foster an awareness of the environment. Our business practices are aimed at providing a safe workplace environment for our employees, and a positive working atmosphere for staff and customers alike. As part of our full service approach, we offer our clients trucking and pick-up options that will best suit their needs. And we handle the complete range of nonferrous metals: aluminum, bronze, iron, various alloys, lead, stainless steel, tin, nickel, zinc, brass and copper. We’re also proud of our computerized online infrastructure – this is a high-tech network that links us globally, and keeps us abreast of the needs of customers and suppliers, both in the local market, and internationally. Basically, we know what the market has to offer, we know what the customer needs, and we know how to put the two together. In short, we want to do business with you, and we want to manage all of your metal needs. Our business objective is to provide superior service, competitive pricing, prompt and reliable logistics, and efficient management of our customers’ metal . We are also here to offer our experience and expertise: to understand the industry; to provide solutions; and to answer your questions. Tal Metal is constantly growing – along with the industry, and along with our customers. We keep on top of the latest industry trends, and we keep up with the most current advancements in technology. In the world of metal recycling, aluminum is considered the most recyclable material on earth. Aluminum can be recycled infinitely. It always keeps its original integrity and remains highly in demand around the world. Aluminum is exponentially more valuable than other scrap metal, and with advanced manufacturing techniques, the recycling turnaround time is extremely quick. Once processed and purified, aluminum can be remanufactured into a multitude of products – like packaging containers; beverage cans; frozen food trays; even exterior window frames. Recycling iron is critical to the proper management iron waste, while preventing that waste from ending up in landfill. Recycling iron and steel is obviously far less expensive than mining iron ore and manufacturing from virgin materials. Recycled iron/steel does not lose its original integrity and can be re-manufactured into raw material that is economically valuable in many applications. In every part of the country, scrap iron is readily available, and in quantities that make collection and processing economically feasible. There are a host of recycled iron products on the market. When it comes to metal recycling, recycled copper is built into practically everything. Bathroom faucets contain copper; indoor and outdoor plumbing is made of copper; and practically all electrical wires contain copper. As it is, pure copper materials, and those that are copper-laden, are too valuable to be trashed. To send scrap copper to the landfill is simply a waste of metal. Copper is a metal that can be fully recycled and re-fabricated into new product. Indeed, recycled copper actually has the same properties as “virgin” copper, allowing for a range of new products. Scrap brass is integral to metal recycling because it can be efficiently recycled and re-processed. Old appliances, motors, and engines are all valuable sources of scrap brass, and are generally in abundance. Automotive waste is another major source of scrap brass, as is the metal waste from construction and renovations. 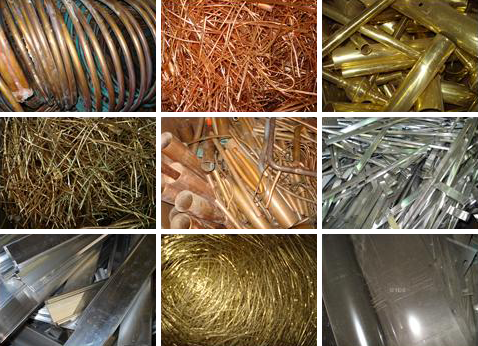 Market pricing for scrap brass depends on quality and purity. Scrap brass free of impurities is more valuable than bulk scrap brass. However, once it’s properly treated and processed, the recycled brass can be efficiently re-manufactured into many things. In short, we want to do business with you, and we want to manage all of your metal needs. Our business objective is to provide superior service, competitive pricing, prompt and reliable logistics, and efficient management of our customers’ metal. We are also here to offer our experience and expertise: to understand the industry; to provide solutions and to answer your questions. Tal Metal is constantly growing – along with the industry, and along with our customers. We keep on top of the latest industry trends, and we keep up with the most current advancements in technology. Because steel is the most recycled metal in the world, recycled steel is used abundantly in the manufacturing of new steel. Essentially, all new steel contains certain amounts of recycled steel. Practically every automobile in North America (cars and trucks) contains recycled steel. In the automotive industry, there is increased use of advanced high-strength steel. Commercial buildings and residential home construction both rely on recycled steel. Today, many homes are being framed with recycled steel as an alternative to wood. In certain geographic areas, recycled steel is being used in roofing materials and roof shingles to resemble conventional shingle materials. There are a number of benefits. Many industrial materials are made of recycled steel – like highway culverts; water and fuel tanks; drainage pipes; horizontal support beams; and even railroad tracks. 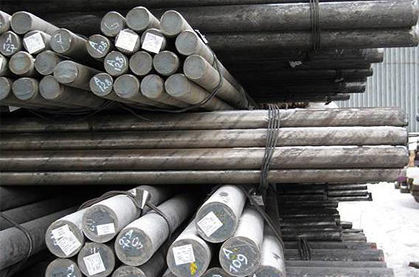 Steel utility poles (made from recycled steel material) have proven to be a cheaper option than wooden utility poles and provide superior performance over their lifespan.